Evolving family dynamics and shifting societal norms are changing fatherhood. Evolving family dynamics and shifting societal norms are changing fatherhood. Fathers today are more active and involved in caregiving than ever before. According to recent research, fathers spend 8 hours a week on childcare, up from 2.5 hours in 1965. They also spend about 10 hours a week on household chores, more than double the time spent in 1965. Despite this upward trend, fathers still struggle to carve out time for caregiving, especially when it comes to a new baby. Among those who took time off to care for a new baby in the past two years, fathers took a median of one week off from work, compared with a median of 11 weeks for mothers. Welcoming a new child to the family can be one of the happiest but also most stressful times in a person’s life. This is why Deloitte released an expanded Family Leave program in September 2016 that offers up to 16 weeks for all eligible employees. 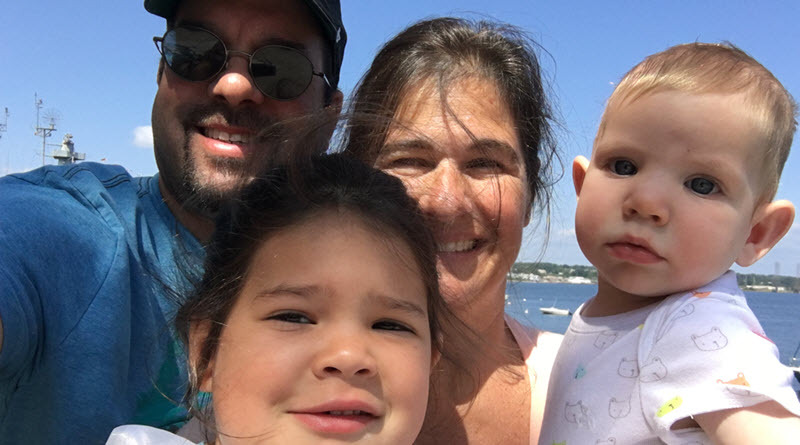 I talked with Rui Soares, a senior manager at Deloitte Consulting LLP, and one of the first men in our organization to take the full 16-weeks of family leave to better understand his experience. Jen Fisher: What was it like to learn that you could take up to 16 weeks to bond with your new baby when our new program was released in September 2016? Rui Soares: About 10 minutes after the news hit, my wife Jennifer called me up, asking, “Have you seen this?” I found the announcement in my email and read it over several times, trying to figure out if it was some sort of April Fool’s joke. But it was September; it was real. And it couldn’t have happened at a better time because Jennifer was expecting our second child. Four years earlier, when she gave birth to our daughter, I took two weeks off—though I could have taken three. We knew bringing a second child into the family would be a different experience and we were trying to figure out how to manage it with me having only three weeks off. And then suddenly we didn’t have to! JF: How was your experience of parental leave different this time? RS: It gave me a whole new perspective on my family and my work. It gave me the space to become more central to the daily life of my family, which is such a gift. Every day for 16 weeks I was involved in comforting and soothing my son and putting him to bed, changing his diapers; I did everything but feed him. I also cooked dinner so my wife didn’t feel the obligation to do that. I did chores around the house: laundry, cleaning, taking care of everything we do domestically at home. It really made me appreciate what has traditionally been my wife’s role. And I got to bring my daughter to school, be in her class as a guest reader, bring her to swim lessons—and just be there every day. Some of the other parents asked me how I had the time to do all of that; they were amazed when I explained it to them. RS: Yes. And we would have been “a man down” if I weren’t around. Caring for a young child and a new baby is not a job for one person. I was able to really see how my wife and I working together was so important during this pivotal milestone in our family’s life. It helped us bond and relieved some of the stress that often comes with life changes. JF: But you’ve been busy at work before. Did this feel the same? RS: Well, at work you can sometimes massage your deadlines. But when your son needs his diaper changed, he needs his diaper changed! You can’t negotiate to do it later. When I started thinking about the leave, I realized I hadn’t had that much unstructured time for myself, basically since I started kindergarten! Even when you’re in college, vacation is only 12 weeks max. So yes, the leave primarily gave me a way to become much more central to the daily lives of my kids and my wife. But it also allowed me to just take a breath and focus on what’s really important. I didn’t have to worry about my career or my clients—or anything other than my family. JF: And when you got back to work, how did you feel? RS: I felt reenergized—and ready to dive back in with my clients. I notice now that I feel a lot more ownership of the project that I’m on. In the past I looked to rely on my partners and managing directors more. But now I feel I’m a peer. I feel more mature in my role as a senior manager. Or maybe I feel a little more confident and capable. If you can deal with the daily challenges of caring for a baby and a toddler, you can probably deal with anything work throws at you! JF: What would you say to other men who are reticent to take the full 16 weeks of leave? RS: I’m very much a champion for the program and taking the full leave. I tell others that this is an incredible opportunity, for you, your partner, and your new child. I am very open in sharing my story and encourage others to, as well. I believe that it helps to break the stigma sometimes associated with paternal leave. At the end of the day, it’s about doing what’s right for your family and knowing that your organization and leaders have your back. Moms Aren’t the Only Ones Who Want to "Have It All"